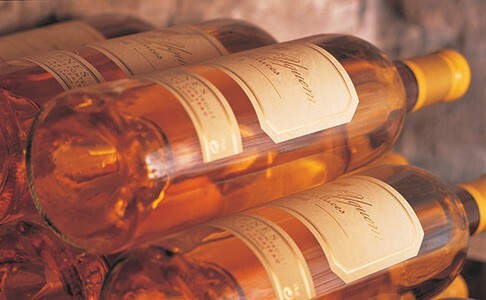 Fine wine is one of the highly rewarding investment options around. With high returns and a low-risk characteristic, fine wine represents one of the best ways to invest. Over the last couple of years, returns from investing in wine have remained stable even in the face of adversity. It even outperformed traditional big hitters such as stock and precious metals whose value deteriorated every time there was an economic crisis. Investing in wine is also not all that expensive and with a modest sum, you can begin your journey to greatness. Just like other forms of investments, there are different ways to invest in wine such as investing in vintage wine, wines of a certain quality or those from a specific region. You can choose to invest in just one of this option or several at a time with the latter proving the better option. This is because by diversifying your portfolio, you spread your risks and this helps cushion you from losses should one option fail to deliver. Diversification also increases your sources of revenue and this way you are able to enjoy better returns. Let’s now take a look at the various ways you can diversify your investment in fine wine. 1. Buy wine ‘in bond’. These are the wines whose VAT or duty tax has not been paid. Such wines are stored in custom-approved warehouses and duty tax is only applicable when you take possession of the wine. The warehouse owner is tasked with providing the best storage conditions for the wine to mature. Those without the best storage facilities can, therefore, pick this option as a way of investing in wine. Duty on the wine is calculated on the original price that you paid and not its current value. This is one of the incentives for investing in wine in bond. The other is that when you sell the wine while it is still in the warehouse, you don’t pay any duty at all. This responsibility is passed over to the buyer and your input in this whole process is the price you paid for the wine. Impressive isn’t it? This is the wine that is still in the barrels. Such wine is still raw and investors can buy them several years before they are released. One of the advantages of buying wine enprimeur is the cost. You will pay less for a barrel than you would if you waited till the wine matures and is released. You could also end up buying vintage wines at a lower rate should you buy them enprimeur. The downside, however, is the fact that you may end up buying wine that is not as valuable as earlier imagined. There is a lot that goes into making wine valuable such as proper storage and failure to meet these conditions interferes with the quality. 3. Buy and store the wine yourself. This is another option when it comes to wine investment. You can buy wine and store it before selling it for a profit. You need to provide the best storage conditions to mature your wine so as to increase its value. Wine should be stored in a cold and dark environment and this makes your basement the best place to mature the wine. You can also use your closet to store wine if you live in a place with moderate climate. You can start with your favorite wine as you research to find out which the best performing wines are. You should also research to find out what the market for wine is like and the current going rates. This is a great option for investing in wine if you wouldn’t like to be weighed down by management decisions. Wine funds are large scale investors of wine and you can buy a stake in the funds by paying a small premium. You will also have to pay an annual fee for the management of your account. You will receive returns according to your investments on a regular basis as per the terms agreed in your contract. Investing in wine is one of the best decisions that you will ever make. The returns are high and the market for wine keeps increasing with each passing day. This is the best guide I've seen on all over the Internet! Thanks a lot! Now I know two ways to make my life easier: to use supremedissertations and to choose the right wine!